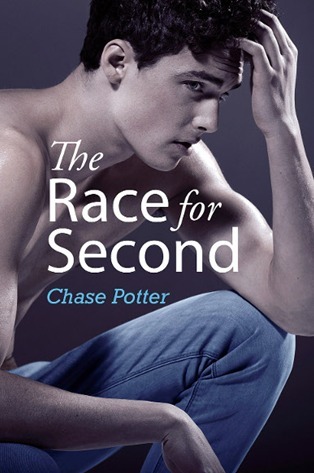 The Race for Second by Chase Potter is a book that begs to be read while drinking beer. This gay coming of age story follows Ethan through his sophomore year in college as he studies abroad in Germany. It opens as Ethan breaks up with his boyfriend the night before flying off to Freiburg, looking for a new start with a clean slate. He is not ready to start up a new relationship, but is strongly drawn to his flatmate, Daniel. Daniel is aloof and seems to have no desire to get to know Ethan whatsoever. But Ethan frequently catches Daniel staring at him, forcing Ethan to consider the implications. Ethan struggles to make new friends at school. Loneliness seeps into his days and a longing to be home becomes almost unbearable. After an accident, Daniel is the only one who can come to Ethan’s aid. Through that experience, a friendship slowly grows. Daniel shows a certain attraction towards Ethan as well. Although they are becoming closer, Ethan can tell that Daniel is hiding something. Ethan is invited to spend Christmas break with Daniel’s family where many answers to Ethan’s questions begin to unfold. The Race for Second is a book for those who get the painful transition into adulthood. Ethan grabs the reader’s heart early on and holds it until the very end. He is a strong character out to prove that he is not delicate, regardless of what his mother might say. Ethan and Daniel’s story will take you on a roller coaster of guessing games. Trying to figure out what happens next will prove difficult. Chase Potter is a local author residing in St Paul, MN, with his husband and their poodle. Chase has traveled to many countries in Europe and has spent considerable time in Germany. His expertise on the Freiburg university and countryside comes through in his work. It pulls the reader from her reading nook and drops her at the foot of the Black Forest to experience the chill of winter, the warmth of beer, and the smell of German cuisine.